HMRC have written to VAT-registered businesses in the UK trading with the EU again this week. The latest letter from HMRC, contains the most detailed and practical advice so far on what actions businesses should be taking to prepare for the scenario of no-deal. This advice does not apply to businesses trading with Northern Ireland and Ireland, as the future relationship remains undetermined. Hire or train someone internally to do your business’s declarations, purchase software that will interact with HMRC and (if needed) register to use the National Export System (NES). Making importing easier reflects a new set of guidance from HMRC on Transitional Simplified Procedures (TSP) that will be made available to UK-EU traders in the even of no-deal. TSP are an initial set of measures that government are putting in place to support traders. not already be using other simplified procedures. In the event of a no deal scenario the Government will introduce postponed accounting for import VAT on goods brought into the UK. The aim is to support businesses with cashflow, and businesses will be able to declare and recover import VAT on the same VAT return. This also aims to take pressures away from the border, but exact details and further information will be made available soon. The EU VAT Refund Electronic system but going forward businesses will be able to reclaim VAT using the non-EU business process. Any claims for 2018 need to be submitted before the 29 March 2018.
the EU’s VAT number validation service (VIES) but a UK-only online VAT number checker will be available on GOV.UK from 29 March. EU VAT systems (MOSS) businesses will be able to is the UK’s VAT Mini One Stop Shop, or look to registered for EU OSS in an EU member state, the deadline to do this is 10 April 2019. 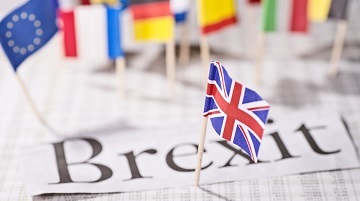 All the new government guidance has now been published on gov.uk along with a fourth iteration of the Partnership Pack on how to prepare for a no-deal Brexit scenario. The ADS Brexit Hub hosts advice and guidance for our industries, including how to assess your exposure to customs checks and delays at the border and importance of EU regulatory regimes to your business.